Jet shower device with a manometer, thermometer and valves; giving the choice to use either double or triple stream (pouring, focused or dispersed), and thermostatic batteries which allow the regulation of water temperature. 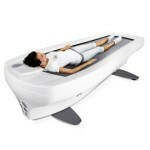 Orionmed Balneo is a tub allowing to provide balneology and hydromassage treatment at one time. Orionmed Balneo is adapted to the use of brine, thermal waters, peat or beer during the treatment. Audio and chromoterapy modes are optional features. 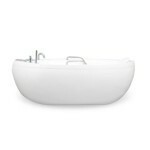 Therapeutic tub for brine-, peat- and carbonic acid baths. It is used in rehabilitation-, SPA- and beauty centres. 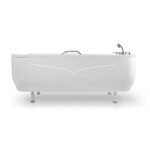 The tub is widely used to reduce pain, improve blood transport to the tissues or their regeneration due to the therapeutic effects of balneological baths. 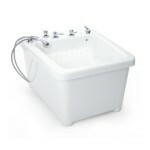 A tub giving the ability to apply joint treatment, such as chromotherapy, balneotherapy, pearl bath- and hydromassage. Aquanea is one of the most often picked hydromassage tubs thanks to its esthetic looks, latest technologies and multifunctionality.